Between poetry, music and history. 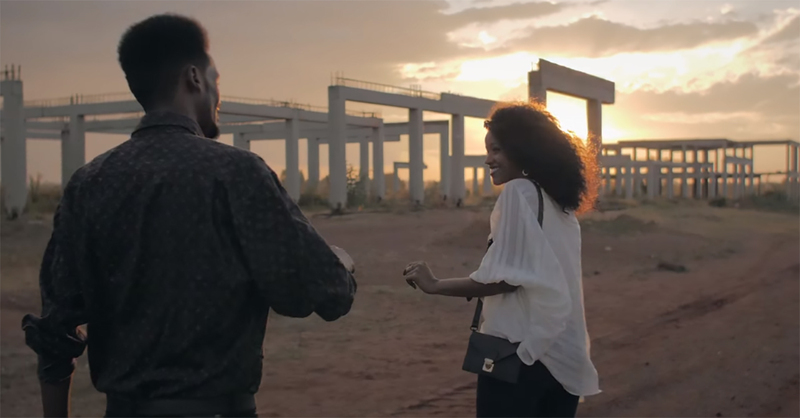 "One of the songs I care about most"
Rome, (askanews) - The video of Jovanotti's single is set in Asmara, Eritrea, "Chiaro di luna", just where many years ago another Lorenzo, the singer's grandfather, had been a truck driver. "Asmara is a beautiful city, a place where Africa and Italy intertwine, beyond any possible prejudice and historical judgment. Crowded and slow, sweet and alienating, isolated from the rest of the world but so full of stories, full of references as a hypertext of emotions and thoughts, "said Lorenzo. A romantic video that tells about love in a difficult but changing place and the singer felt that it was the right place for "Chiaro di Luna", to encourage the country so conditioned by the colonial history of Italy, on its path to democracy . "I wanted to tell Africa without stereotypes on that continent - explained Jovanotti - because there is no place in the world more complex and more linked to our destiny, and stereotypes and generalizations are always just bad". The video shows split citizens of squares and streets of Asmara, who seem out of the world and far from technology. Lorenzo is a musician who in the evening plays the songs in the Rome Cinema bar. A couple of lovers feel it and before leaving, perhaps forever, dances on the romantic notes of "Chiaro di luna". "It's one of the songs that I care more about - explained the singer - we immediately realized that it was the most important melody of the album and maybe we chose to make it, getting the maximum emotion, reducing to the minimum essential the arrangement ". Even the video, without special effects, tells the emotion of a simple story, letting the images speak. On November 14, Askanews anticipated the images of Jovanotti singing for the children of the Italian school of Asmara. 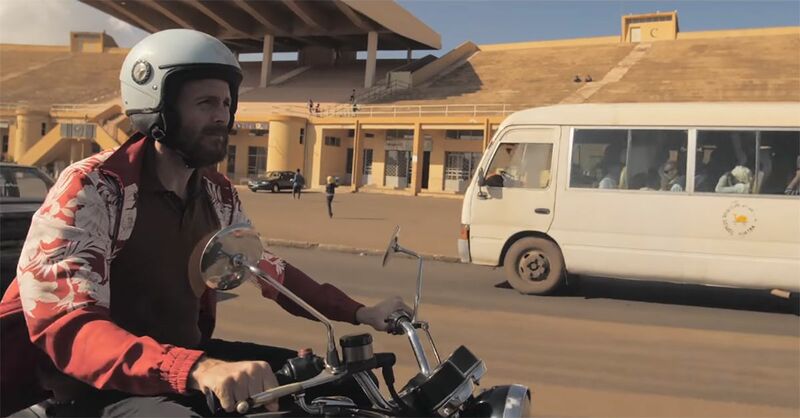 CHIARO DI LUNA, THE NEW VIDEO BY JOVANOTTI FILMED IN ASMARA, IN ERITREA: "I WANTED TO TELL AFRICA WITHOUT STEREOTYPES"
The video of the song by Jovanotti Chiaro di luna has been released . The clip is shot in Asmara , in Eritrea . In the city of the Horn of Africa, many years ago another Lorenzo, the singer's grandfather , worked as a truck driver. "I knew little about Eritrea, I had only heard or read some stories of East Africa in the times that was a colony - says Jova - The news reports that many of the guys who arrive in Italy through the Mediterranean are Eritreans and I wanted to go there ; for me it is only traveling outside the circuits of tourism that one can know something for a real place. I had already programmed it, in a single backpack and away . Then I heard that this was the right place for this song and there was no alternative that convinced me the same way. I wanted to tell Africa without stereotypes on that continent, because there is no place in the world more complex and more connected to our destiny, and stereotypes and generalizations are always just bad ". Lorenzo in the video is a musician who for a reason not clear he is in this city and in the evening he plays the songs in the bar of Cinema Rome . There is a couple of lovers who hears it. The climate between them is suspended, maybe it's their last night together, maybe they will not see each other again, but before they let themselves dance tenderly embraced on the romantic notes of "Chiaro di luna". Moonlight is the sixth single from the album Oh, life! . The album, released on December 1, 2017, had also been presented to Deejay called Italia . Here is the interview.